Our famous iconic and nostalgic Old Dragon Playground is now making a guest appearance at National Museum of Singapore front lawn. 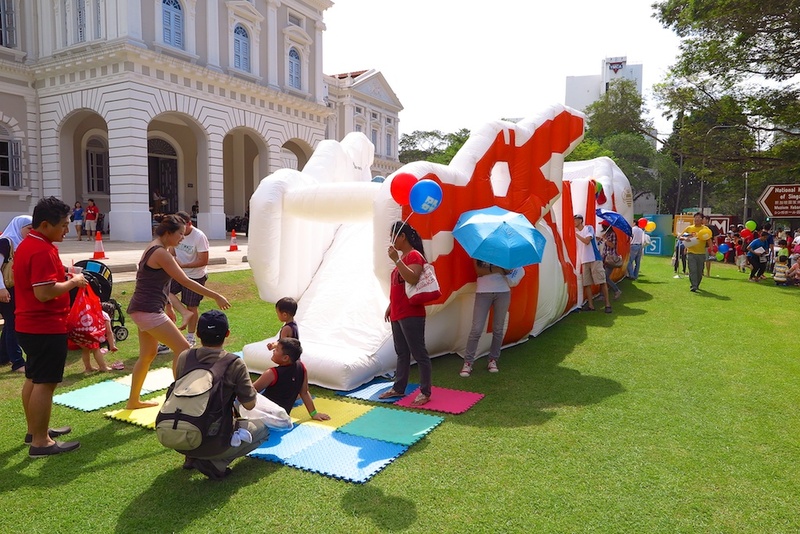 For the adults who grew up playing at the Old Playgrounds, the Dragon Playground on the Lawn at National Museum of Singapore will definitely bring you back many beautiful and nostalgic memories of your childhood days. This is the time to bring your children down to National Museum of Singapore for many exciting activities and events for the upcoming school holidays! In the gallery area for Explore, the children will be able to explore a living room, bedroom, kitchen and a garden, all inside one enclosed area! There is also an extension to the sundeck (it’s the rooftop and there is a great view up there!) where children can sketch and draw on the blackboard wall using coloured chalks. This is definitely a fun and great place for the children to learn and enjoy at the same time! The space for Create is where the young children are able to explore their artwork and creativity through wet and dry medium. It’s perfectly fine for the young children to get their hands dirty in the name of learning, exploring and drawing artwork! A special curated space and stage for the young Children to unleash their acting and stage performance! In conjunction with the launch of Play@NMS, Children’s Season is back at the National Museum of Singapore, titled “Masak Masak: My Childhood” from 24th May 2014 to 3rd August 2014. This is a special exhibition is centred around the theme of My Childhood, featuring the friendly and familiar old playgrounds, larger-than-life games of yesterday and interactive installations from both local and international artists. While Masak Masak: My Childhood is planned for the young children, teenagers to adults will definitely enjoy going down to Masak Masak and relive their childhood memories too! There are quite a number of fun and attractions at Masak Masak: My Childhood special exhibition, I would be sharing on a few selected activities/displays that I really enjoy when I was there! 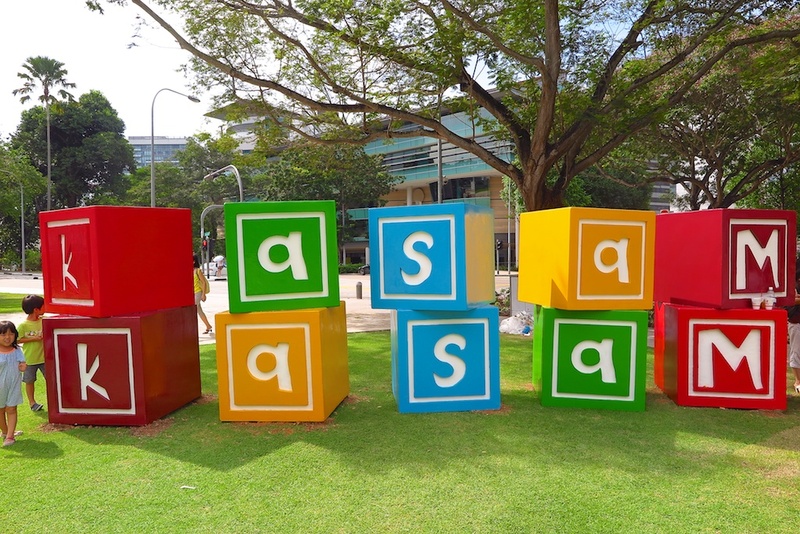 For the Old Playground fans like me, who grew up playing at the various Old Playgrounds, it is nostalgic and great to see two of Singapore’s iconic and familiar Old Playgrounds, the Old Dragon and Old Elephant Playground, present at the Front Lawn of the National Museum of Singapore. The two old playgrounds attracted many children to come and play! The Playgrounds on the Lawn opens every Sat and Sun from 24 May to 31 Aug, 11am to 1pm & 3pm to 5pm. 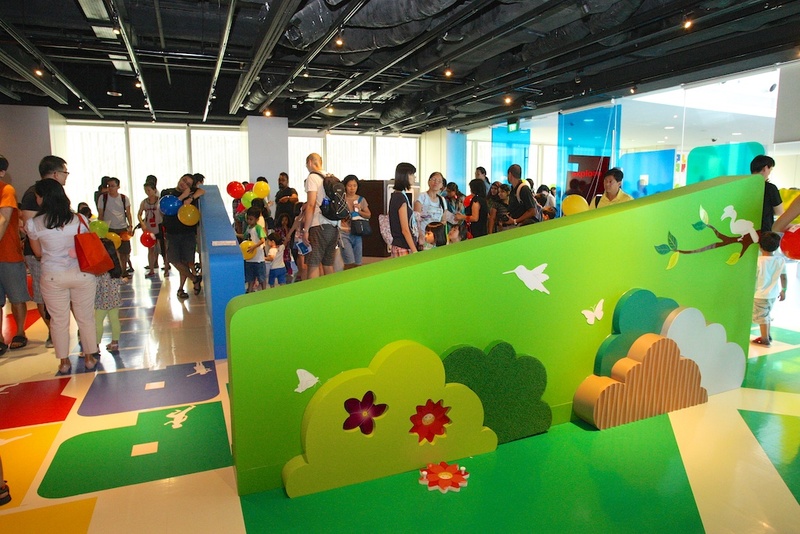 A fun place to bring your children to have fun, by building your own dream home with your own imagination, using carton boxes in this special interactive artwork space! Inside The Salon, there are houses built with carton boxes, a sailing ship, and airplane, Baby Dragon Old Playground, Ice Cream cart and dream art houses made by the children on display! 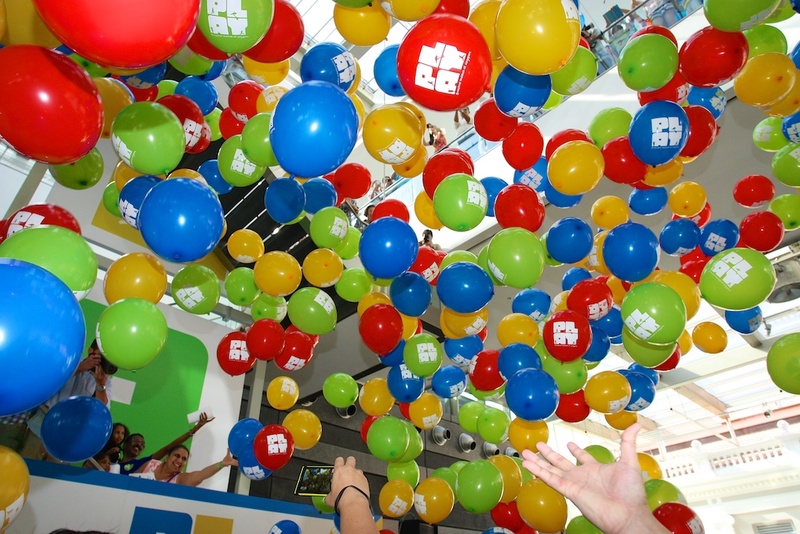 You have to visit it when you are there and bring your children down to play and have fun at the Salon! 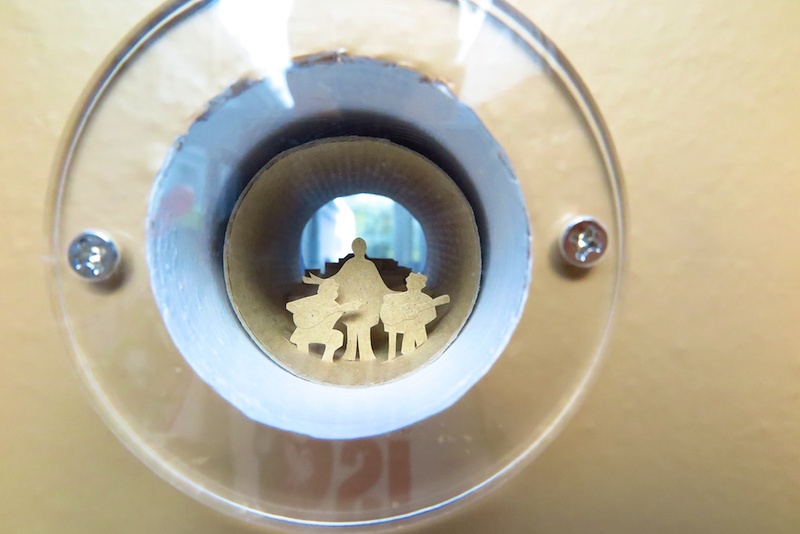 A collection of miniature dioramas showcase different scenes. Inspired by daily lives, movies and locations around the world. It’s very interesting to look through all of the different miniature dioramas, filling up our sense of curiosity and what we would like to be in the future. The children can have fun too in making their own miniature dioramas, sharing their dreams and what they like to be in the future! A collection of interactive and fun installations made from old and scrap materials, produced by Spanish group Guixot de 8. All the artworks are a big hit with the young children and even the adults too! 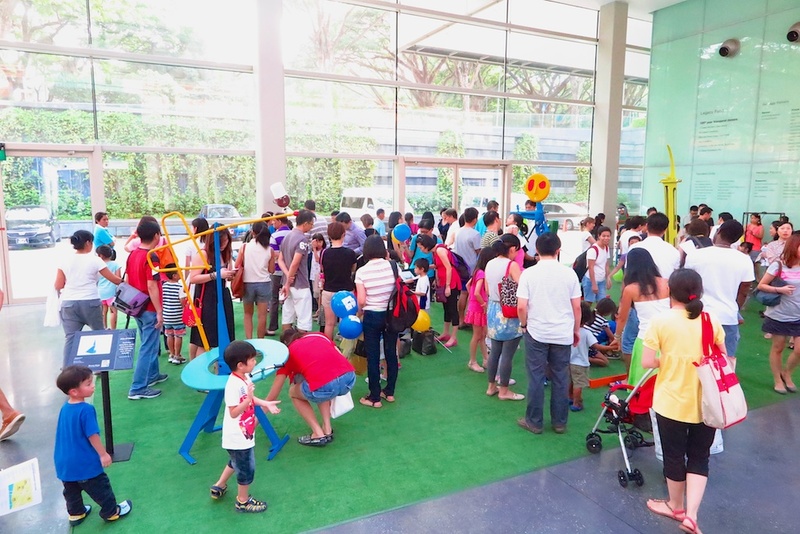 The children queued up to play at the various artworks and the adults come in to accompany their children to play together! The Play@NMS and Masak Masak: My Childhood event is designed for the young children generation; it does not mean that the adults cannot enjoy them too! 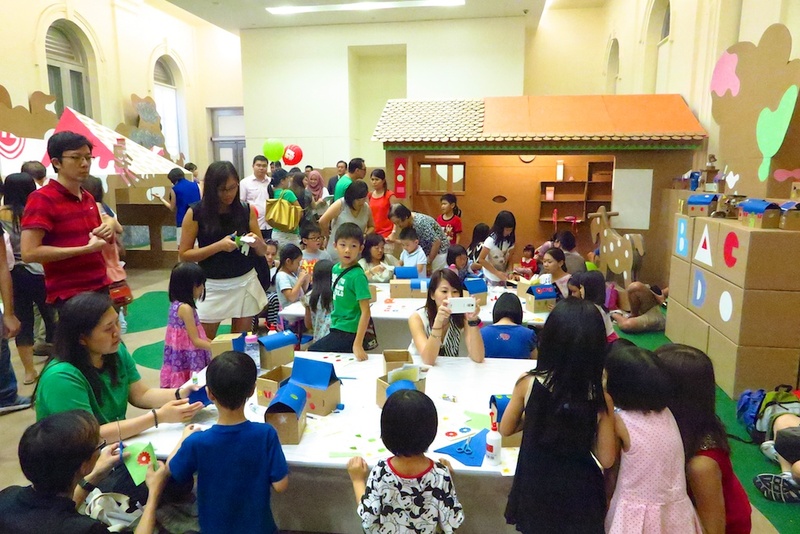 The adults can also come down to the National Museum of Singapore, to enjoy the fun and nostalgia! I did enjoy myself a lot and walking through the Play@NMS and Masak Masak: My Childhood, here are my photographs collection on Flickr! I went back in time and relive my nostalgic childhood memories, at the National Museum of Singapore and I really enjoyed every minute of Play@NMS and Masak Masak: My Childhood!